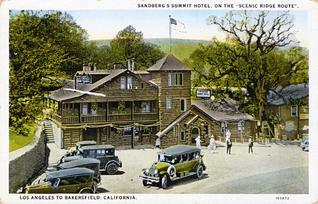 * ... SANDBERG'S: Last week readers weighed in on the old Lebec Hotel, the grand dame of the Ridge Route that connected Los Angeles with the San Joaquin Valley before Interstate 5 was built. Now another reader, Mary Fuller, submits this information about another hotel - albeit a bit smaller but equally charming - called Sandberg's Summit Hotel. Apparently it was located near the intersection of Pine Canyon Road and the old Ridge Route at an elevation of 4,170 feet. 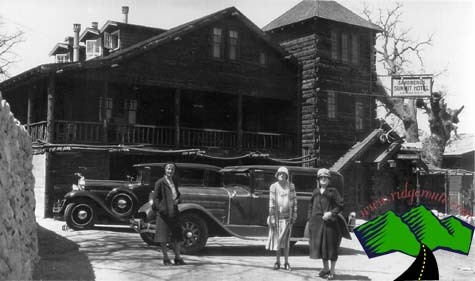 It was built by Harald Sandberg in 1914, originally as a one-story log structure, but later enlarged to three floors. 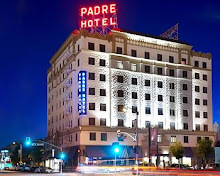 During renovation in April 1961, sparks from a fireplace ignited the roof and the hotel burned to the ground. All that remains today are foundations and a rock wall on the west side of the old road, just before entering the Angeles National Forest. Anyone remember Sandberg's? 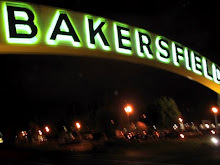 * ... HOMECOMING: Bakersfield is known for its "brain drain" when the best and brightest of our children leave and never return. But there are plenty of examples of kids who do come back, and I recently learned of two more from Joseph "JJ" Gianquinto, commissioner of the Kern County Superior Court. 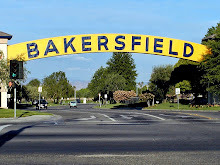 He wrote to say that one of his sons, Dr. Jared Gianquinto, completed his residency in orthodontia at Temple University and has returned to Bakersfield to establish his practive. His elder son, Jason Gianquinto, also returned to Bakersfield with his wife and two daughters. They spent some time overseas working on international engineering projects and he now works for a major Central Valley water district. "I know that my sons are only two, but they have friends here who are of the same ilk. Some of them never left, and others have returned. They will all continue to make the community and their parents proud," he said. J.J. and his wife, Lani, have been married almost 39 years and he credits her with rearing two outstanding boys. Well spoken. * ... PATEL KUDOS: Kudos to Drs. Ravi and Naina Patel for being recognized with a prestigious honor from the American Cancer Society for donating more than $850,000 to find a cure for cancer. The philanthropic award is given to an individual or family foundation that has given a minimum of $500,000 to strengthen the American Cancer Society's goal of saving lives and finding cures. 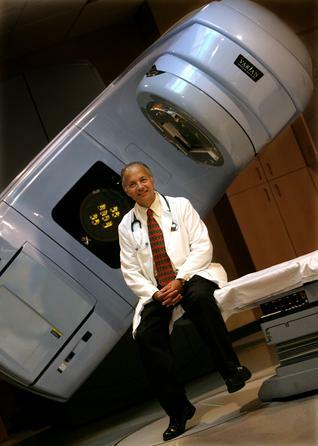 The funding came from the Patel Foundation, which includes their family and the Comprehensive Blood and Cancer Center. * ... PUMPKINS: Remember to run over to the Northwest Promenade for a special sale on pumpkins on Saturday, sponsored by Cub Scout Pack 177. The Scouts will be selling pumpkins from 8 a.m. until 3 p.m.
* ... TOW SACK ANNIE: Marcie Brakebill wrote to recall the character known as Tow Sack Annie (I was reminded by a reader that it should read 'tow sack' and not 'tote sack' as I had it). 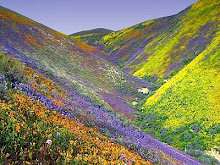 "It was fun to read your blog about Tow Sack Annie in today's Californian. As soon as I saw the heading I knew I had heard that moniker before. As a child I had lived on Weedpatch Highway close to Edison Highway but I wasn't sure if I actually remembered her or had just heard about her so I called my dad, who now lives in Missouri, and ask him if the name meant anything to him. Of course it did! He told me the same story told to you by Marvin Pritchett but also says that I had a little dog that would run out and bark at her. She apparently would scold my dog and tell him "go back in the yard or you'll get ran over"! What a great blast from the past and a chance to ask my Dad about something long forgotten! Good job." Thanks Marcie. * ... SMALL WORLD: I'm used to running into folks I know at Starbucks or Trader Joe's, but Kern County Family Court? I spent the day in court recently and saw four people I know, all going through divorces. Must be something in the water around here.